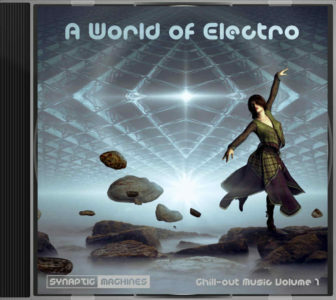 “A World of Electro”, AKA “Chill-out Music Volume 1” is a musical paradise for all those that enjoy soft club music, like Buddha bar and Cafe Del Mar. The album will be out soon as digital download, and physical CD. We will update this description when these are available. In the meantime, you can license these music tracks for your videos. Link to the licensing a page is available in the track list below (For this publishers, Edouard Andre Reny uses a pseudonym: Edward Keys). Transport your viewers with this inspiring ethereal track. In choruses, spacey guitars, sliding bass, dreamy pianos & synths are guided by a hypnotizing beat. Verses have a lounge-like feel with jazz lite guitar & e-piano solos. Peaceful ethnic lounge music. Melodic and calm, this restful and modern sounding piece is based on tabla, piano and a syncopated bass / drum beat. Smoky yet dynamic New Orleans Jazzy atmosphere. Double bass, piano & percs enter, driven by a warm brass section. After an e-piano solo and a chorus, the calm e-guitar bridge rises to a drums driven end chorus. Ideal as main theme for series, talk shows, documentaries & commercials. Smooth and pleasant ambient music atmosphere. Light electro beat punctuated by clean guitars, dream pianos and echoic synths. Ideal for documentaries, travel videos, television shows, reflective movie scenes and inspirational videos. Ideal for bar, lounge and hotel atmospheres, corporate videos, and infomercials. Relax in the warm ambiance this piece provides! Light electro beat punctuated by dreamy guitars and pianos, smooth synths sounds and a sax. Very soothing, it is an ideal background for documentaries, corporate and training videos, reflective movie scenes and inspirational or promotional videos. Beautiful echoic electric guitars, spacey synth and piano melodies, draped with a deep bass and electro beat, provide a smooth and pleasant ambient music atmosphere. Moving electro pop tune: deep dive into a dark atmosphere blending passion, love, jealousy and the intimacy of a bed room.